Getting a website built used to cost an arm and a leg. Sometimes it still does, but generally it doesn’t need to. What can now be achieved with even the most modest budget is amazing. 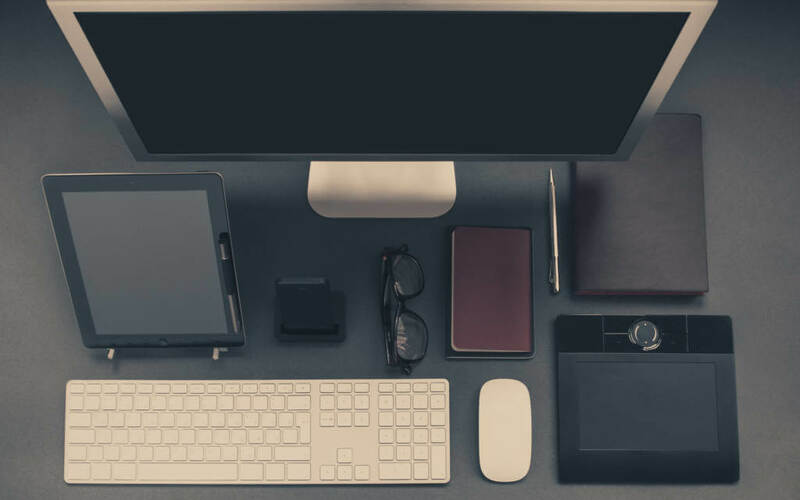 Here’s a brief introduction to some of the things we do to make your website not only look impressive but also work hard for you. We used to build websites on a variety of CMS (Content Management System) platforms, such as Ruby on Rails, Drupal or Joomla for example, however we now exclusively use WordPress, the world’s most popular CMS. 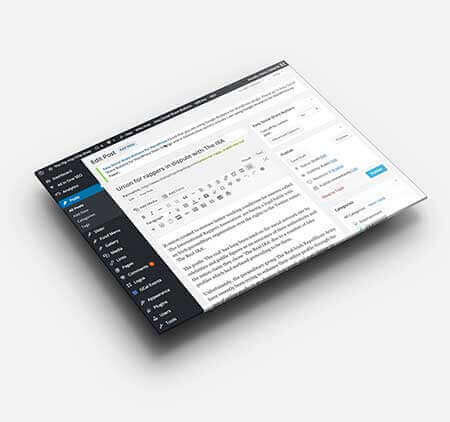 The main reason for this is that although WordPress started off as a humble blogging platform, it has grown to be a truly formidable CMS, simple to learn but flexible enough you can do almost anything you could imagine with it. It’s absolutely vital to use a CMS these days because it means you won’t have to keep paying more and more for updates – you’ll be able to add and edit text, blog posts, even pages, images, videos and more very easily. If you do want us to look after your website permanently though, we offer flexible contract-free Care Plans to suit your needs and your budget. You hear about SEO, (search engine optimisation) all the time, and for good reason. What’s the point in having a website if nobody can find it? 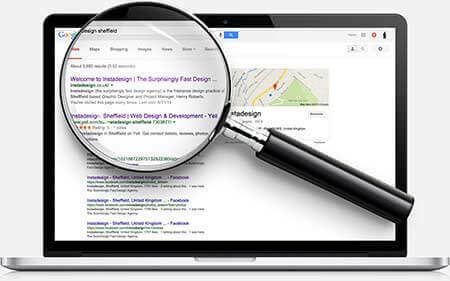 We will ensure that your website shows up as high as possible in search engine results, and will even advise you on how to optimise your content for maximum search engine exposure. We offer the most basic on-site SEO as standard, and there’s a lot more we can do to help on an ongoing basis, as we can also give you tools and advice that will help you enhance your site’s visibility long into the future. E-commerce needn’t break the bank. In fact it needn’t even use the bank. If you want to sell online, get in touch with us – you may be surprised how affordable an e-commerce site can be and how easily you can set up shop using PayPal. If you want to accept credit/debit cards we can help you with that too – we’re well versed in payment gateways, PCI compliance and everything else you need to know to sell your products or services from your website. We have a few great success stories from recent years, with one client earning over £50k from her startup in the first two years since we launched their website. We work with TSOHost to offer you highly competitive hosting packages that scale seamlessly as your business grows. Our most basic hosting package is just £3.50/month and includes automated data and database backups. This is what most of our clients’ websites use and is more than sufficient to handle the volume of traffic you can expect if you run a small business. As you grow, you may find you need a VPS or dedicated server for your website capable of handling huge volumes of traffic. If and when you reach that point, we can migrate your website over seamlessly, with zero down time. We tend to use super-reliable Digital Ocean droplets for more heavyweight sites (such as e-commerce sites that have a lot of products and/or heavy traffic). Future-proofing in the world of the web is always a relative term – it’s anybody’s guess what the internet will look like in 2050 and beyond – however there are certain things we can, and should, be prepared for. For example, it looks likely that Google will start penalising websites that are not mobile friendly, so building a site today that doesn’t tick that box would be shortsighted. Another major consideration is security – something that many don’t take seriously enough. You might think your website isn’t at risk of being hacked because it’s low-visibility or of low value, but you would be wrong. There are bots out there attempting to hack into everything and anything, from a LinkedIn profile to a multinational bank. Of course, it makes sense that your level of protection befits the kind of website you’re running, but being completely unprotected in this day and age is just dangerous. All websites we build come with security features as standard, and we will encourage you to take advantage of updated security measures as they become available. You wouldn’t want to launch your new website and then find out that something doesn’t work on it, would you? Well we wouldn’t either – that would be embarrassing for both parties. I’ll admit this was a lesson learned the hard way, but we now build in time to any website launch for thorough testing to ensure there are no broken links, contact forms are going to the correct emails, performance is good and that code is bug-free. You know you need a website, and you want as little to do with the technical side of it as possible – of course! We can take care of domain registration, hosting, and all the other little things that might needlessly worry you or take up your time. In short: you give us your content and we will take it from there. We’ll even set up your email accounts for you. We don’t ask for any recurring fees unless you want us to maintain your site for you. Instead, we build into any website quote a little budget for us to meet up with you at the point of handover and show you exactly how to control your website yourself very easily, from virtually any computer or connected device in the world. This way you know exactly what your outlay is going to be at the point of receiving our quote, and you can be safe in the knowledge there will be no hidden costs.